Arun Valley is the deepest valley in the world, located between the Everest and Makalu trekking areas. Arun valley trekking offers superb Himalayan scenery which includes the Mt. Everest, Mt. Makalu, Mt. Baruntse, Mt. Lhotse, Mt. Nuptse, Mt. Amadablam, Mt. Thamserku and much more experiencing the incredible diversity of God blessed beauty, culture, and landscapes. Arun Valley region is also abundantly rich in natural vegetation and wildlife. More than 650 species of birds and over 800 species of butterflies, the shelter of the rare and endangered Panda is found in this trekking trail. Orchids and other flowers along a faint jungle trail, swirl prayer flags at Shipton La are found during our trail. Makalu-Arun valley trek is sacred with an unbelievable variety of natural splendor and customs. Walking through the picturesque Sherpa villages is the main attraction of the Arun Valley region. Arun Valley Trekking provides an alternative approach to the Khumbu region trekking. Arun valley trek is blessed with an incredible diversity of natural beauty and culture. 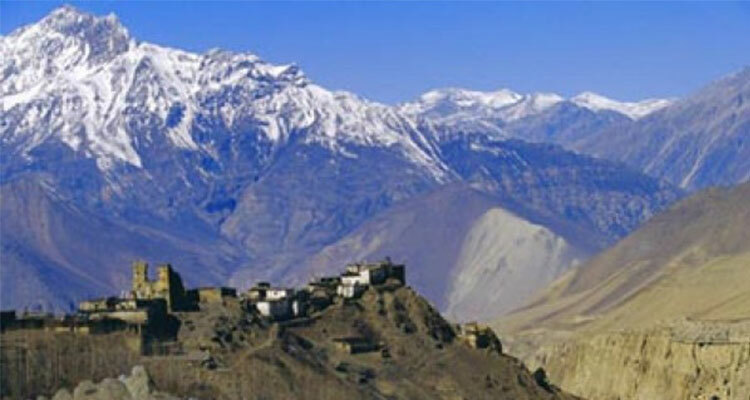 Trek to Arun Valley region can be taken directly by flight to Tumlingtar, a small village located on a plateau. Or you can also take a flight to Biratnagar and trek in the Arun region via Hille. You can put together smooth wilder hike by crossing into the upper Hongu valley. The highest point of this trek is Salpa Bhanjyang and also we can visit Hindu holy lake – Salpa Lake (3414m). Sherpa, Rai, and Limbu are the main inhabitants of this region. Their unique culture and traditions will make your journey much more memorable in Arun Valley. You will encounter rhododendron, firs and spurs forests. Arun valley trekking requires fully stamina and fitness to fully appreciate the beauty of the Arun Valley region which provides some outstanding mountain views and also can equally take pleasure in gorgeous scenarios of valleys and wonderful views of silvery mountains. If you are looking for wilderness and solitude and can overcome the logistical complications of the region, this Makalu Arun Valley region trekking can be a good choice. Best Travel Time: March – May, September – November are the best seasons. Today we will have a long day working trail. We will pass along the mangmaya Khola which is great for birds, monkeys and other animals. You can try out fishing for some time. The down elevation is easy and the cool breezes through out the trek gives you feel of Arun valley. From Surtibari, we would descend onward to Tumlingtar. Tumlingtar is the main gateway to the Makalu region that sprawls across a broad plateau near the confluence of the Arun River and Sabha Khola. Stay your night in hotel. Follow the main trail downhill past farms to Kumal Gaon, on the edge of a broad plateau. We followed the Arun River east, crossing it on a cantilevered metal bridge to the village of Bheteni. From here we would walk for about an hour to Chyawabesi (250m) for the lunch. Passing through the sub tropical forest, the trail continues south along the east bank of Arun through a series of small Rai, Chettri and Brahman villages. With little exploration of these villages we will reach a lively village Kartike. Your overnight stay will be ata tea house at Kartike. Walk through the fields for 30 minutes to cross the rusty metal bridge. Set amongst terraced rice fields on the bank of the Arun Koshi, eventually we will roll into the tiny village of Balawa Besi (320m). The trail climbs into groves of sal trees above to the Bharta and Nepali Danda villages and then crosses the ridge. Offering the first glimpse of the verdant Arun valley, the trail continues a steady rise through the cascade of rice terraces, passing the Rai villages of Marduwa at 1500m. Gradual descend to the whitewashed village of Chalise Nepali Danda. The trail continues along the north bank of the Irkhuwa Khola through a steamy landscape of rice terraces and banana plantations to Gothe Bazaar. Spend your night in Gothe, staying at the mouth of Benkhuwa Khola. About two hours past Gothe you’ll reach the village of Dhobane. Continuing through the rice terrains along the irrigation channels, you’ll cross to the north bank on a wood-and-steel bridge. We can also see the making of Nepali paper from Lokta plant. There are several places on the way where you can take a dip in the river- the water is cold but not icy and the temperature is almost tropical. Continue uphill through Rai and Sherpa villages, cross large suspension bridges passing the Irkhuwa Khola to Dhobane. We spend our night in tea house here. Pass through the sprawling villages of Tendor and Tallo Phedi with their tidy slate-roofed houses, cutting in and out of the forest. The trail leads upward through terraces lands with rice fields that seem impossibly green, divided by trickling irrigation channel. It passes through damp patches of forest following the south bank. The trail follows the bottom of the fertile rice growing Irkhuwa valley, crossing the river on a rickety bamboo bridge. Take the path running over the Sanu Khola to Phedi. Visit nearby ruined Stupa and a tiny disused Gompa. The ascent from Phedi is perilously steep, climbing along the spur that divides the Irkhuwa Khola and Sanu Khola. After ascending another 100m from Jaubire, approach the sprawling village of Thulo Fokte (2140m). Crossing gentle stone path, it’s a pleasant ascent through the forest, with lots of sunny clearings for rest stops. Climbing up towards forest of oak, birch and rhododendron you’ll have giddying views of the plunging valley. The trail drops down from the top of the spur to Bilbate (2800m). About 30 minutes further we will reach tiny stone village of Gurase. Today we pass through a rhododendron forest dotted with overgrown Mani walls and Stupas. After about total journey of 2 hrs we will reach to Salpa Pokhari, a wish fulfilling sacred pool set at 3414m. The area is surrounded by hemlock and fir forests abound with birds and wildlife. The pass is often covered with snow in winter. You can gaze forward across the forest to the distant peak of Solu Khumbu. Reach the open area of loose stones and dwarf rhododendrons above Salpa Bhanjyang and steep drop to the main stream. Moving on the path runs across the hillside and through the damp forest to Sanam. Over night stay at Sanam. First part of the day is gentle but sustained descend through a forest of rhododendron, brown oaks and chir pines. Enjoy the paper factory, a teashop and an old Gompa in the village of Share after passing an enormous rock carved with Buddhist mantras. About two hours from Share, expose to lush, forested valley ahead of Gudel (1900m). It is another pleasant Rai valley of whitewashed houses and kitchen gardens, almost a mirror image of Bung. Cross the Hongu Khola by a steel suspension bridge at about 1320m. The main trail drops past the village of school through a patchwork of rice, millet and soybean terraces to the village of Bung. Bung is also the point that you are officially supposed to pay the Makalu National Park entry fee. As you climb up the hillside, you’ll see the farmland becoming richer and more varied and racks of beans, maize and other crops drying on the wooden balconies of whitewashed Rai houses. Continuing on the main trail, you’ll enjoy glorious views over wide, fertile Hongu Valley. Cross the hillside by scattered Mani walls. In the upper valley, a perfect circle of tall juniper trees marks the location of the Khiraule Gompa. You will have soaring views over the surroundings valley passing through scrubby, burnt forest with clear hillside. Passing through the valley of Charakot, a steep stone stairway drops to reach Surke La Pass. Spend your overnight here. Today trail descends steeply onwards from a notch in the cliff wall. The slopes are covered in wispy thickets of bamboo. Today we will pass Najindingma (2650m) village. You will have view of a clear area of grassland, used as summer grazing by people from surrounding valleys. Another one and half hour of drop across soggy forests, we will reach Gaikharka. Here you’ll have wonderful views of grassy terraces and scattered farmhouses. Crossing a humid, ferny forest, the trail continues across the Hinku Khola on a 62m-long, steel cable bridge. You will watch two sparkling waterfalls and path begins an almost vertical ascent to the valley of Sibuje (2500m), also known as Vasme and Chatuk, for about 2 hrs. Further uphill, you’ll see pocket sized village Gompa. The trail ascends for an hour through patchy forest of straggly rhododendrons. We will reach Pangum La pass, enjoying the grand-stand views of Khumbu Himalaya and Mera Peak (6476m). We can also have a short climb to Pangum Gompa for night stay. Crossing thefinal La of the Arun valley, we will trek downhill at first and then up and over Kari La(3145m). After having lunch trail drops downhill, quite steeply in the end to where the Arun Valley path joins theroute from Jiri just before Puiyan. The terrain can be frustrating, with the trail diverting into side valleys and being far from a direct line to Puiyan but it is interesting to trek. Puiyan is a nice village overlooking a small tributary of the Dudh Koshi. From Puiyan it’s reasonably easy to make Lukla with a few hours. We can also make a visit to Kharte La Pass. The trail winds uphill along the Jiri path. Today is a short and easy day trek and also a rest day in the Lukla valley. Spend your night in hotel enjoying the cultural programs at night. Saying final goodbye to our porters we return to the hustle and bustle of Kathmandu with a 45 minute flight back to the domestic airport. (It also can be a spare day in case of bad weather in Lukla which makes the Lukla flight delayed and cancel.) At the evening you can have your last night in Nepal enjoying the Nepali cultural dinner show exchanging greetings among friends and with all Nepalese people. You can buy some souvenirs and gifts. Trekking Permit for Arun Valley Trek.